This Black IPA / Cascadian Dark may ‘celebrate the Dark Side of the Force’ but the New World Hops positively shine through in a smooth, crisp and drinkable ale. Look: Pours a deep black-brown with lasting lacing and off-white head. 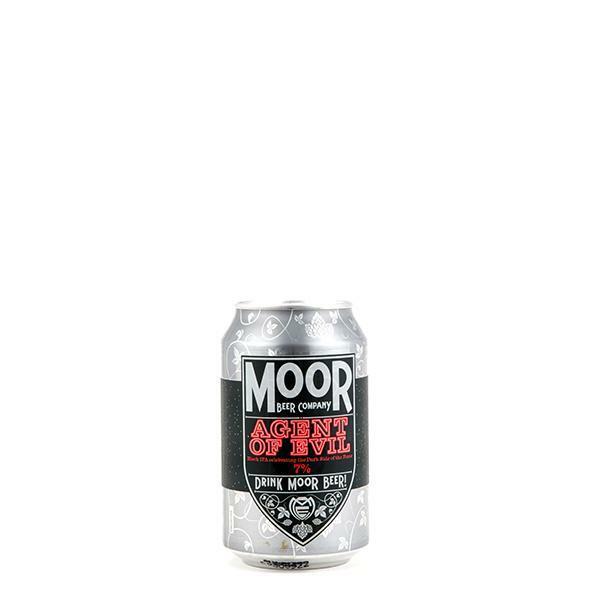 Aroma: Smokey roasted dark malts with piney hop accents and some light orange zest and pineapple fruit notes. Taste: Caramel, chocolate and biscuit sweetness balanced with crisp bitterness on the palate. Medium bodied, velvety mouthfeel and a lingering bitter finish. Verdict: Well balanced, fine depth and smooth. This is an Agent of Evil we’d happily side with. Juicy tropical fruit the bold American hops with a gentle tingling finish, this unfined IPA celebrates the “light side of the force”. Look: Deep golden amber and hazy with a medium white head. Aroma: Loads of orange marmalade and grapefruit with accents of bitter pine. Taste: Starting sweet and punchy with apricot and orange, moving into a lingering rich bitterness. Medium smooth body with soft-medium carbonation and tingling finish that hints at the booziness without detracting the drinkability. Verdict: Surprisingly rich without yielding on juicy fruity notes or drinkability, this Guardian can look after us any time.